Disrupted: Strategy for Exponential Change is a guidebook to the exponential era and a toolbox for proactively leveraging this change. 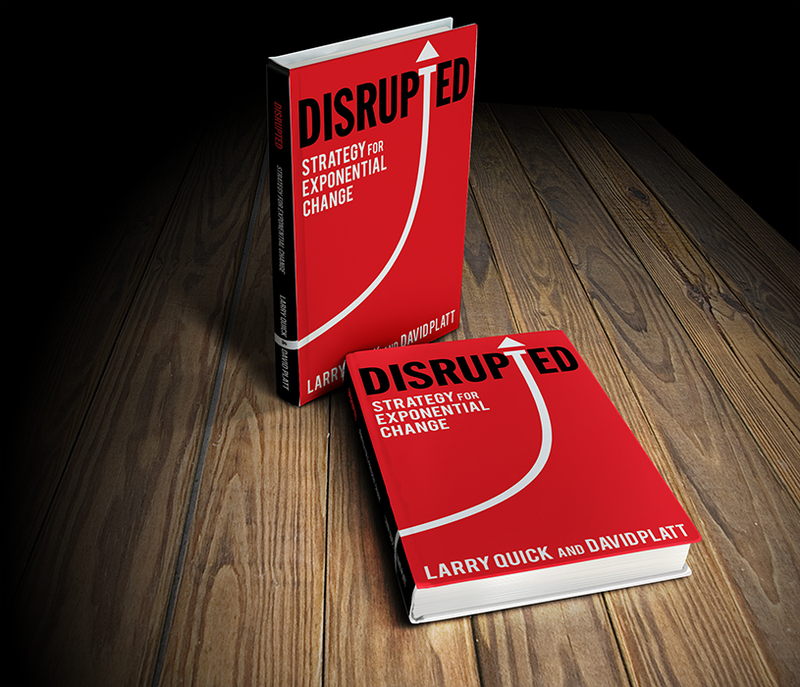 By exploring well-known examples of disruption-opportunists like Apple and Tesla Motors, Disrupted helps readers to understand the kind of “strategic thinking” that allow teams and leaders to confidently pursue opportunities with a shared strategic language, and a methodology designed for timely and agile execution at all levels of their organization. 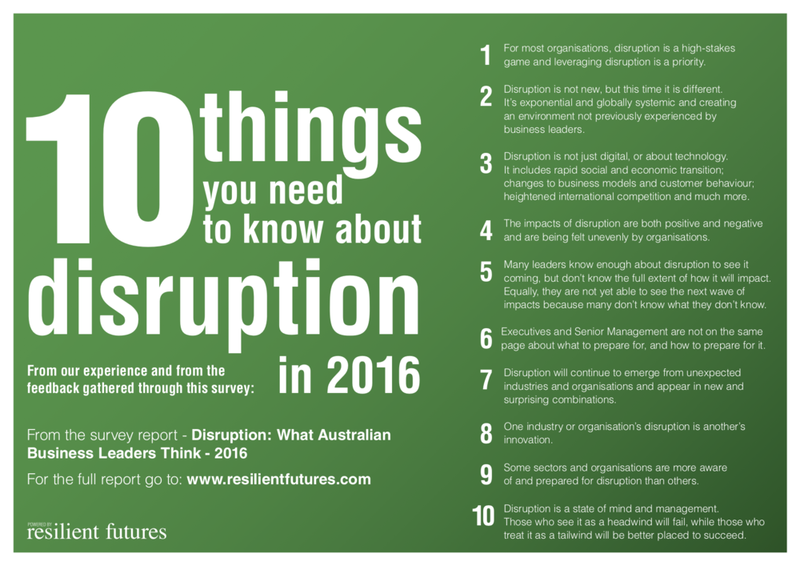 From our experience and from the feedback gathered through our 2016 disruption survey.